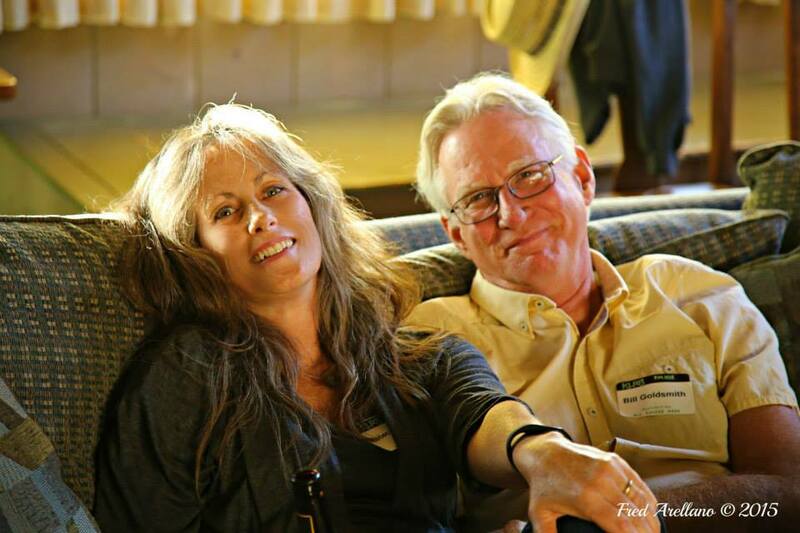 Since January 11, 1996 Bill and Rebecca Goldsmith have been creating a life together — a life built on mutual respect, discovery, awareness and adventure. It's been quite an adventure indeed, and since Feb. 1, 2000 they've been crafting a soundtrack for their life and sharing it with the world via Radio Paradise. Prior to starting RP, Bill had spent much of his life involved in the broadcast industry. Rebecca, who was new to that industry, taught Bill that a lot of what he learned in the competitive, ad-saturated world of commercial radio needed to be un-learned. Together they have created a radio station quite unlike any other — one that breaks more rules than it follows. Their goal is to create a station that you can listen to every day, for as long as you choose, and remain entertained, delighted, and surprised by their music choices. Rebecca is RP's music reviewer and business manager. Bill creates the music flow and crafts the code that makes everything happen. They are both open to the suggestions, support, love, and energy that come their way from Radio Paradise's worldwide family of listeners. As they've been known to point out (though possibly not often enough), they could never do it without you. Radio Paradise has always been 100% listener supported. Bill & Rebecca also depend on the skill and creativity of their support staff: Lynn (graphic design & merchandise), Mike (photo editor & reviewer), Sandy (bookkeeper extraordinaire), Jarred, Giacomo & VT (app developers), and Sam & John (tech support). RP's tech infrastructure is hosted by Incero Servers in Texas (thanks for the excellent service, Gordon! ), San Diego Broadband & The Internet Connection in California, and 100TB in Texas, DC, & London. RP depends heavily on a number of excellent open-source software projects: PostgreSQL, PHP, Apache, Icecast, Vorbis, JQuery, and Ecasound. We also appreciate the support of listeners who donate relay server resources in California & Germany. 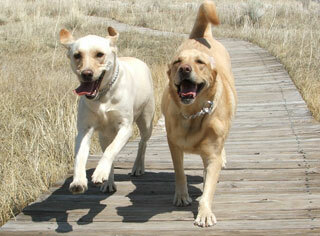 And here are our girls Bella (right) & Gracie. These two loving and spirited creatures just might be the most integral piece of the RP tapestry. They remind us what’s really important in this transitory life of ours — day after day, hour after hour — they remind us that it’s really all about the love and the joy. Both receiving it and giving it away. Know that when you occasionally hear them competing for Bill’s airtime — barking and playing and being their joyful and rowdy selves — they’re just doing their part for the greater good. Feel free to take their squeals of delight as your cue that a ‘breather’ may just be the good and right course of action for you too.